Want to curate an exhibition? Work side-by-side with a museum professional to develop a program or educational resource? There's an incredible array of opportunities available to museums and society students. The Program in Museums and Society rotates courses frequently, developing new classes often in unique partnerships with museums and other departments. Museums and society students are introduced to a broad set of historical, theoretical, and practical museum issues and given the opportunity to explore museums first-hand. 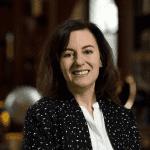 Museums and Society is an exciting interdisciplinary program that introduces Johns Hopkins undergraduates to the institutions that preserve, interpret, and present our material heritage. In June 2016, nine students from Baltimore traveled to the Venice Biennale with Dr. Rodini. 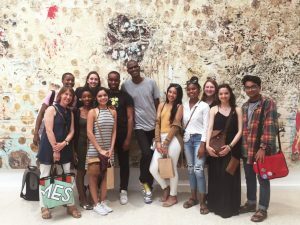 They explored the exhibition and the city assisted by BMA staff, and talked art, politics, and life with U.S. representative artist Mark Bradford. Check out their posts on Instagram, @bmoreinvenice. Talk to us about upcoming study abroad opportunities.